Digital signage displays are a great way to for businesses to make their customers aware of any product or service offering. 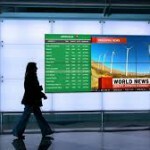 Because digital signage displays are directly controlled via computer, any changes or updates that you make are conveyed instantly to your customers. There is no need to go through the expensive and time-consuming process of physically creating new posters and signage. It is all controlled instantly by the digital menu board’s software. Restaurant menu boards are an obvious application because menus aren’t static. If steak is on special today or if there is a two-for-one, what good will it do you or your customer if they don’t know about it? Your digital menu board can even contain your entire menu, eliminating the need for messy and expensive printed menus that take up space at the table and detract from the patron’s dining experience. Digital display signage really comes thru if you are running a drive through. The weather can be tough on ordinary signage, but outdoor menu boards are built to withstand the elements. Effective drive-thru communications can be achieved instantly through affordable outdoor menu boards. 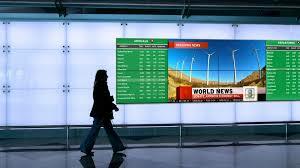 Digital signage solutions have their place in almost all types of business. For banks, customers can be made aware of the various types of accounts offered and their associated interest rates. It doesn’t matter how often they change, and the sign printing company can’t make a mistake that opens management to litigation – because there is no sign printing company involved. For airports, passengers can be instantly informed of flight arrivals, departures and cancellations. Stadiums can inform fans of the latest team stats, the game’s progress, and, for latecomers – the score. For grocery stores, and indeed any type of retailer, the latest bargains can be displayed. For office buildings, the ever-changing roster of tenants, and their location within the building can be proclaimed to all. The possibilities for this fast-evolving technology are endless, and your digital signage provider will be happy to point out applications for you and your business.